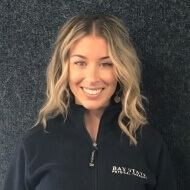 Marissa is from New Bedford, Massachusetts and graduated from Northeastern University with her Doctorate of Physical Therapy in 2012 after receiving her B.S. in Rehabilitation Sciences in 2011. She is the Director of the Raynham clinic. Marissa has worked with patients aging from 3 months old to 99 years old treating a wide spectrum of musculoskeletal injuries and disorders. Marissa frequently treats infants with torticollis. She enjoys working with young athletes and patients proactive in their rehabilitation. In her off time, Marissa enjoys traveling, working out and watching soccer.